Easily visit Davidson Glacier with this stress-free package. 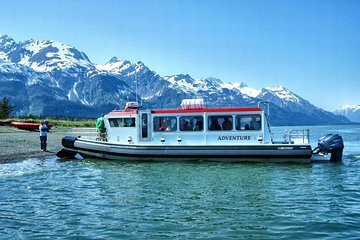 Relax on a 60-minute boat ride out to the glacier and see if you can spot local wildlife like whales, bald eagles, sea lions, and mountain goats. Then, take a short hike to the provided canoes and paddle out to the glacier.